Polchlopek was trained to wrestle by Caesar Barraza, Blackjack Mulligan, Tim Parker & Boris Malenko. He made his debut in 1991. Polchlopek was famous in the World Wrestling Federation as one-half of the tag team The Smoking Gunns with his kayfabe brother Billy Gunn. The team were WWF World Tag Team Champions three times before breaking up and engaging in a brief feud. Bart Gunn briefly went into solo competition, his most high-profile match occurring on Monday Night Raw, in February 1996, which he lost to an up-and-coming Stone Cold Steve Austin via sleeperhold. Polchlopek then recreated the Midnight Express tag team as "Bodacious Bart" with partner "Bombastic" Bob Holly. The team had limited success, though they did hold the NWA World Tag Team Championship for a brief period in 1998. In 1998, Bart Gunn participated in the WWF's shoot boxing tournament, the Brawl for All. Gunn faced tag partner Bob Holly in the first round, and was declared the winner on points. Gunn next defeated Steve Williams, with a surprising knockout. He defeated The Godfather in the semi-finals, and Bradshaw in the finals to win the tournament. Afterward, Gunn feuded with both Holly and Williams, both angry at having been beaten in the tournament, the latter masking himself and pushing Gunn off a stage. Capitalizing on Gunn's impressive Brawl for All showing, the WWF held a Brawl for All match between Gunn and heavyweight boxer Eric "Butterbean" Esch at WrestleMania XV. Esch knocked out Gunn within 30 seconds. Polchlopek was soon after released by WWF. On the RAW 15th Anniversary Spectacular on December 10, 2007, Bart Gunn participated in the 15th Anniversary Battle Royal and was eliminated by Steve Blackman. After leaving the WWF, Polchlopek found success wrestling in Japan (due in part to his knockout of Steve Williams, who long held a strong reputation for his toughness in Japan). He debuted for All Japan Pro Wrestling in late 1998, competing in the 1998 World Strongest Tag Determination League, teaming with Johnny Ace, and finishing in 4th place with 8 points. 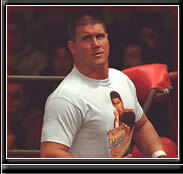 He became a member of Johnny Ace's gaijin (foreign wrestlers) stable, The Movement, and the two continued to team. On June 9, they defeated Kenta Kobashi and Jun Akiyama to win the World Tag Team Championship. They held the title for a month and a half, before losing to NO FEAR on July 23. Following the title loss, Polchlopek stopped using the Bart Gunn name and became known as Mike Barton. In late 1999, Barton and Ace took part in the 1999 World's Strongest Tag Determination League, finishing in 5th place with 9 points. In the spring of 2000, Barton entered the Champion Carnival, defeating Masao Inoue in the first round but losing to Takao Omori in the second. On June 9, Barton and Ace took part in a tournament for the vacant World Tag Team Championship, and lost in the first round to the eventual tournament winners, The Holy Demon Army. In the summer of 2000, Mitsuharu Misawa left All Japan to form Pro Wrestling NOAH, taking most of the native talent with him. Barton, like many of the gaijin, remained in All Japan. Johnny Ace, however, left All Japan during the split and retired from wrestling, taking an office job in WCW and later the WWF. Following the NOAH exodus, Barton formed a new tag team with Jim Steele. 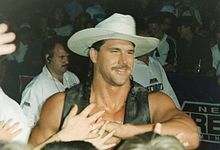 In October 2000, Barton entered a tournament for the vacant Triple Crown Heavyweight Championship, losing in the first round to Genichiro Tenryu. In November, Barton and Steele entered the 2000 World's Strongest Tag Determination League, finishing in 4th place with 10 points. 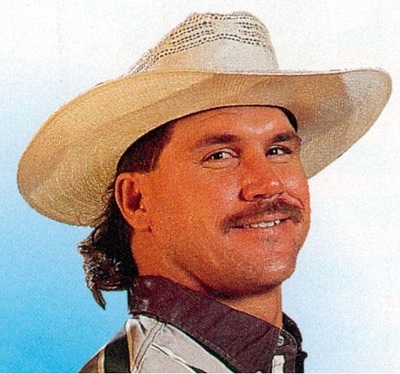 On January 2, 2001, Barton won the annual January 2 Korakuen Hall Battle Royal. In the spring, Barton entered the 2001 Champion Carnival, placing 5th with 13 points. By the end of 2001, Barton had begun making appearances in New Japan Pro Wrestling as a member of the All Japan branch of Team 2000. In November 2001, Barton and Steele entered the 2001 G1 Tag League and made it to the finals, where they lost to Tencozy. In the spring of 2002, Barton entered the 2002 Champion Carnival, making it to the finals but losing to Keiji Mutoh. On July 20, Barton and Steele won The Stan Hansen Cup Four Way against the Varsity Club, KroniK, and George Hines & Johnny Smith. On August 30, Barton and Steele challenged Kronik for the World Tag Team Championship, but lost. In the fall, Barton and Steele left All Japan. Polchlopek had a short stint in Total Nonstop Action Wrestling in 2003. After leaving All Japan, Barton and Steele signed with New Japan. Barton entered the 2002 New Japan Triathlon Series in November, teaming with Steele and Yuji Nagata. The team made it to the finals, but lost to Manabu Nakanishi, Osamu Nishimura and Yutaka Yoshie. In February 2003, Barton and Steele entered a #1 Contenders tournament for the IWGP Tag Team Championship. They ultimately emerged victorious, defeating Makai Club members Tadao Yasuda and Kazunari Murakami in the finals, but an injury to Steele prevented them from getting the title match. After Steele recovered, he and Barton returned to teaming. In October 2003, they entered the 2003 G1 Tag League. During the tournament, on October 21, the two received a shot at the IWGP Tag Team Title against champions Hiroshi Tanahashi and Yutaka Yoshie, but came up short. Barton and Steele finished the tournament in 5th place with 6 points. Barton retired from professional wrestling in 2004.